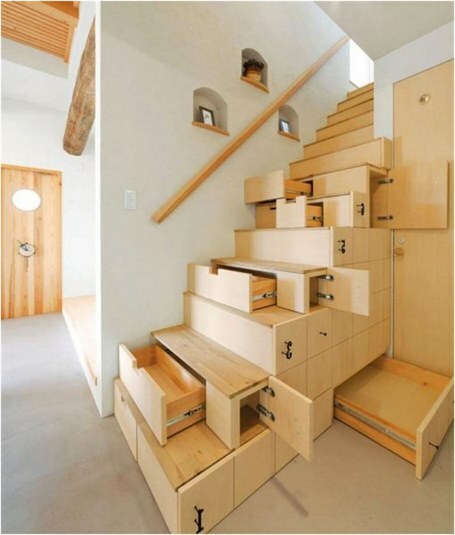 Choosing a drawer design inside the house always depends on the space available to it, which we can not always control because the presence of stairs requires a minimum of space associated with the constant standard of the height of the degree and depth and length can not be removed, so many homes ignore the design of the stairs in front of the form Which is required to be based on the simple and direct method, which provides the need to move the floor required without being considered part of the home decor. So we reviewed the pictures in addition to the houses of large area a number of designs used in narrow spaces and small houses. It is not difficult to find innovative designs and beautiful forms within the required conditions as we shall see later. 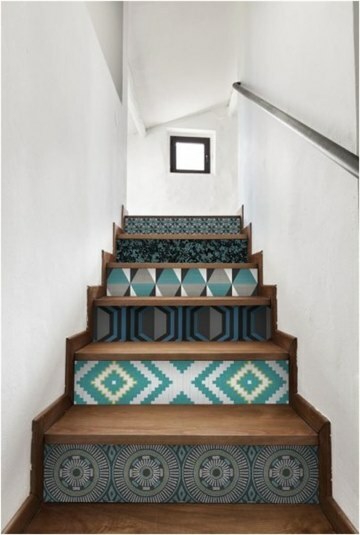 How to add aesthetic to the simple stair in your home? 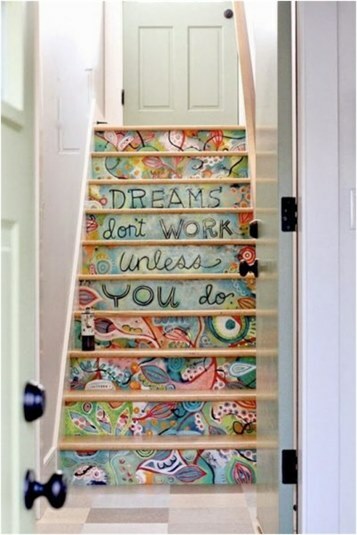 - Use of colored paint or graphics on it. 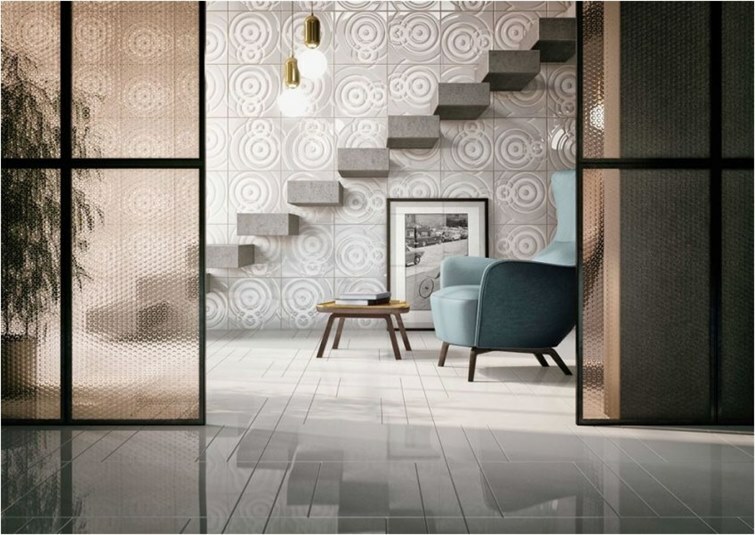 - Use of different types of wallpaper. - Lighting directed at its various colors. - Different decorations of the razor make it a distinctive element no matter how simple. 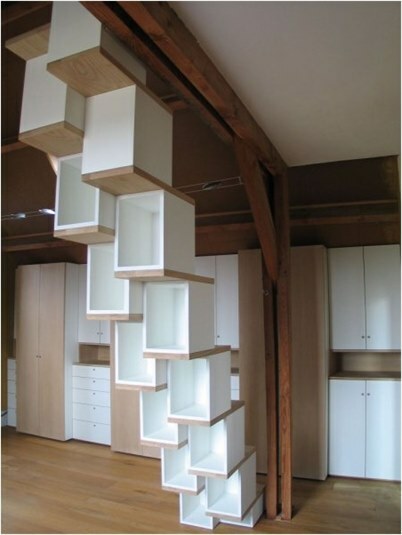 - Based on the stairs sometimes seen hanging from the ceiling, based on one wall only, based on the middle or circular loaded from the middle and other forms that must be studied carefully to provide a safe element in the use of drawers. 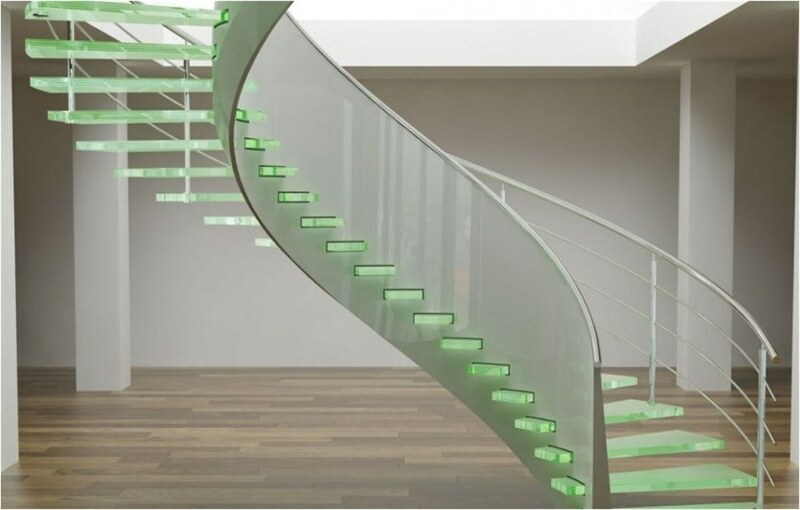 - Materials used in the stairs of wood, glass, cement, iron and other materials to handle the required weight. 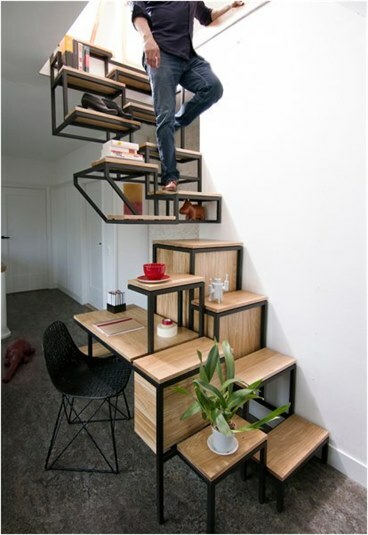 - The razor, sometimes characterized by stairs in the ability to dispense with it to create an unconventional form or play on its various designs. 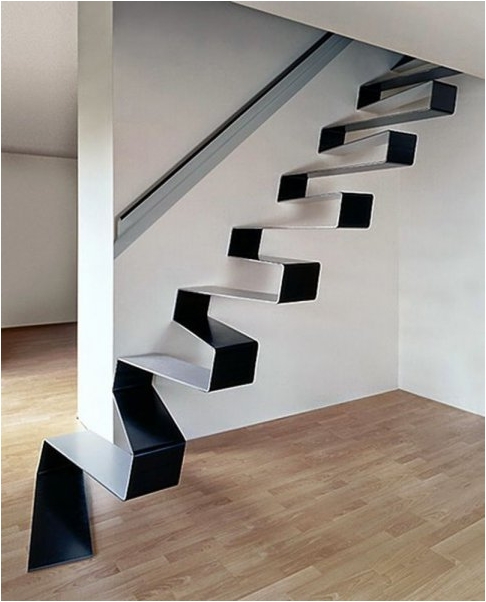 - Creativity sometimes merges the stairs with the rest of the home decor to be an integral part of it. In both cases the most important element that should not be overlooked is the ease of use of stairs and a sense of safety and comfort because it is a very important element in the homes of the floor used more than any other room in the house.